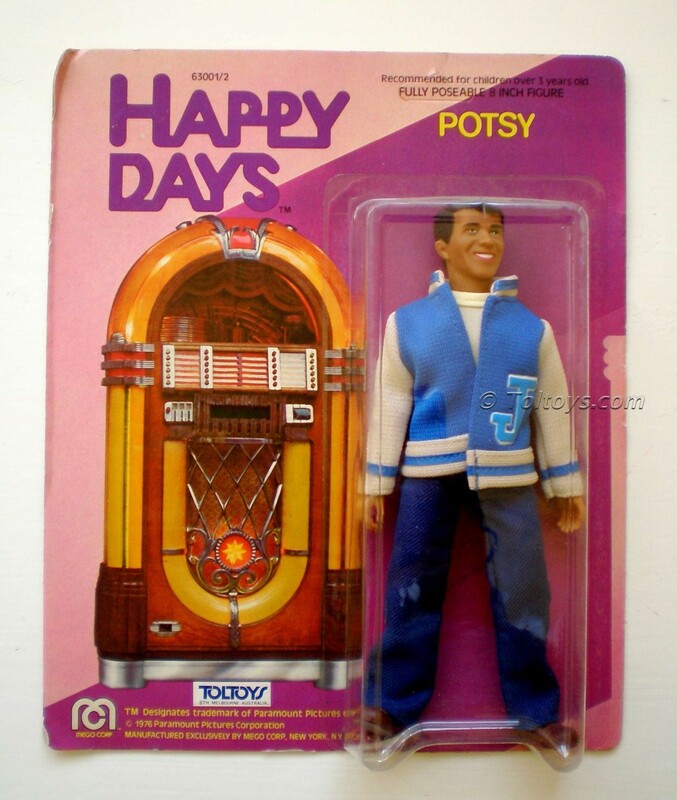 A nice ebay find from a couple of years ago was this packaged Toltoys Frisbee. 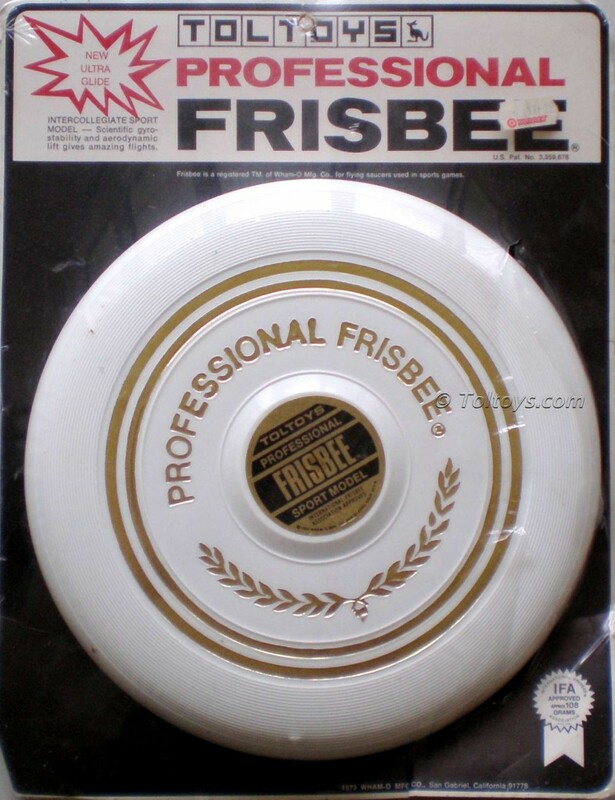 Another product of the Wham-O / Toltoys partnership, Frisbees were heavily promoted by Toltoys in Australia in the early days, as this article on the AFDA website discusses. 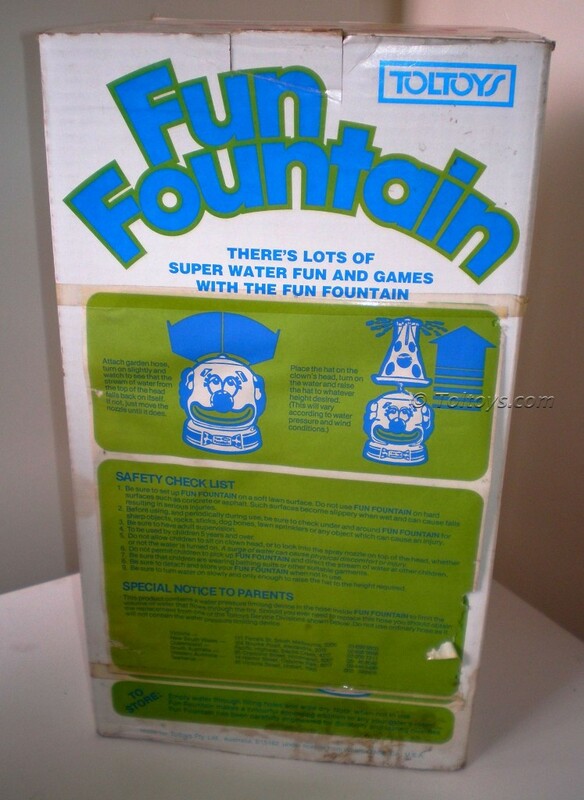 How many of these were lost over the back fence or in the surf in the 70’s? 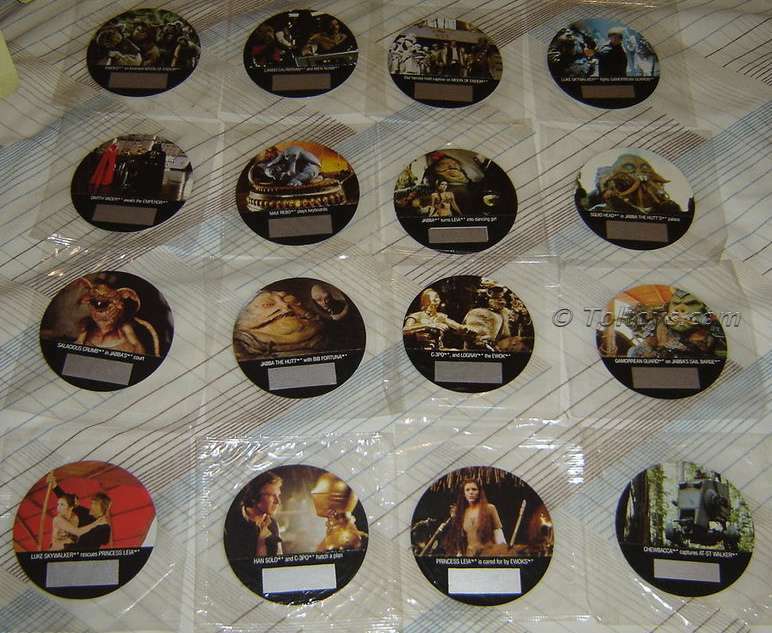 A rare trio on display here, the Tie Fighter, X-Wing and Landspeeder on hard-to-find early release Toltoys logo cards! 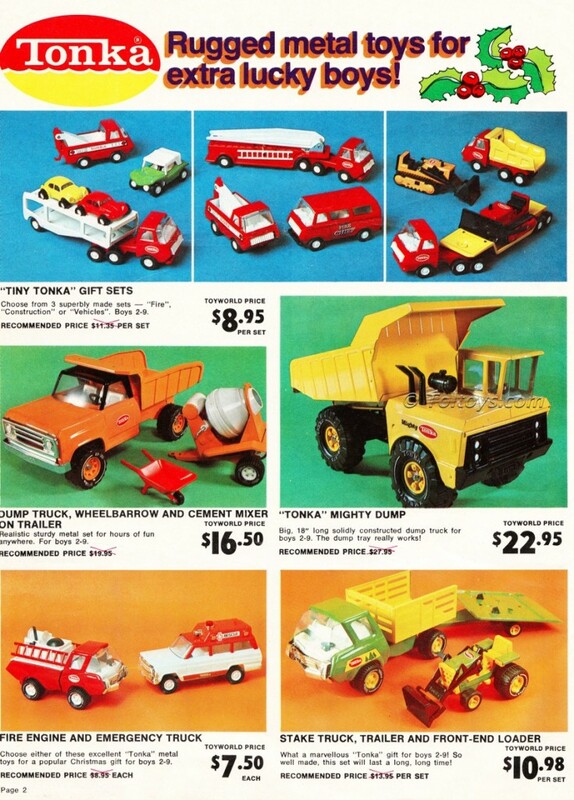 Thanks to Superdans Auction House for the pic. 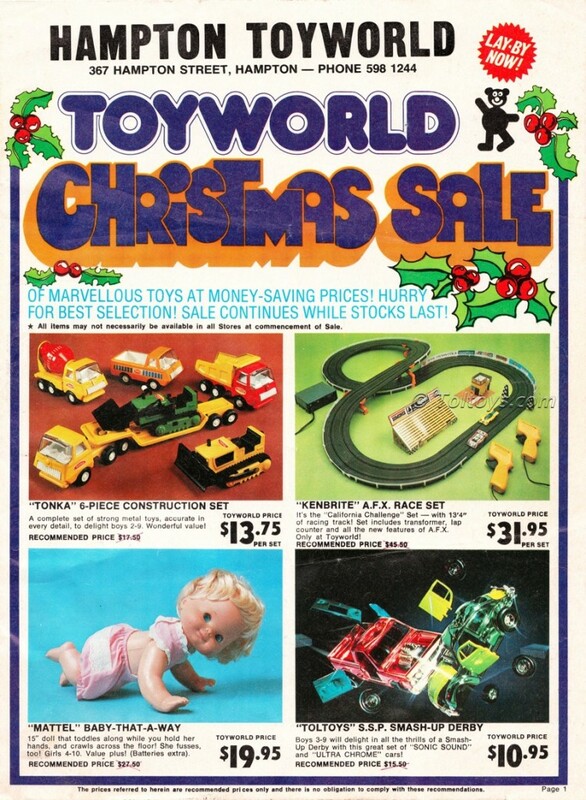 I remember Toyworld stores of the 70’s as the quintessential local toy destination, a medium sized store on the local strip, jam packed with toys of all descriptions. 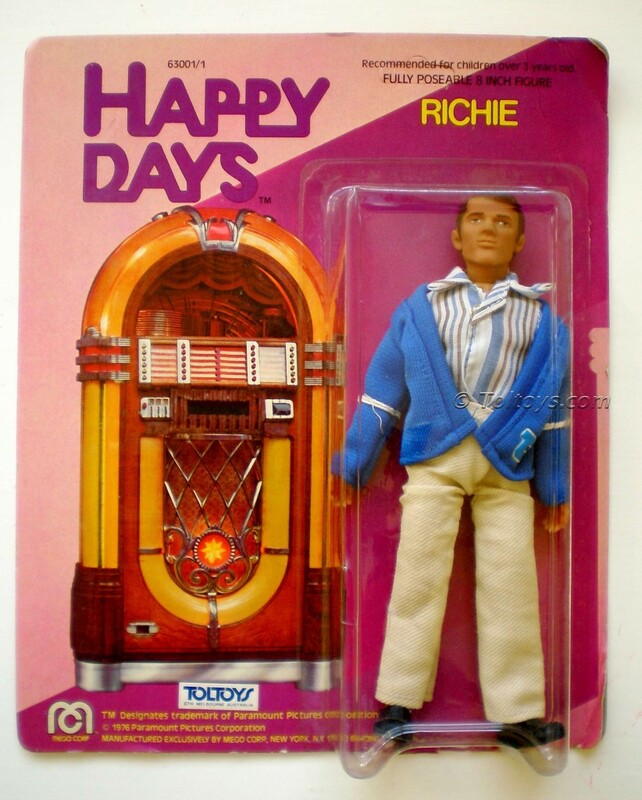 They had the latest TV backed hits, along with the wonderful cheapie rack-toys for the after-school run. 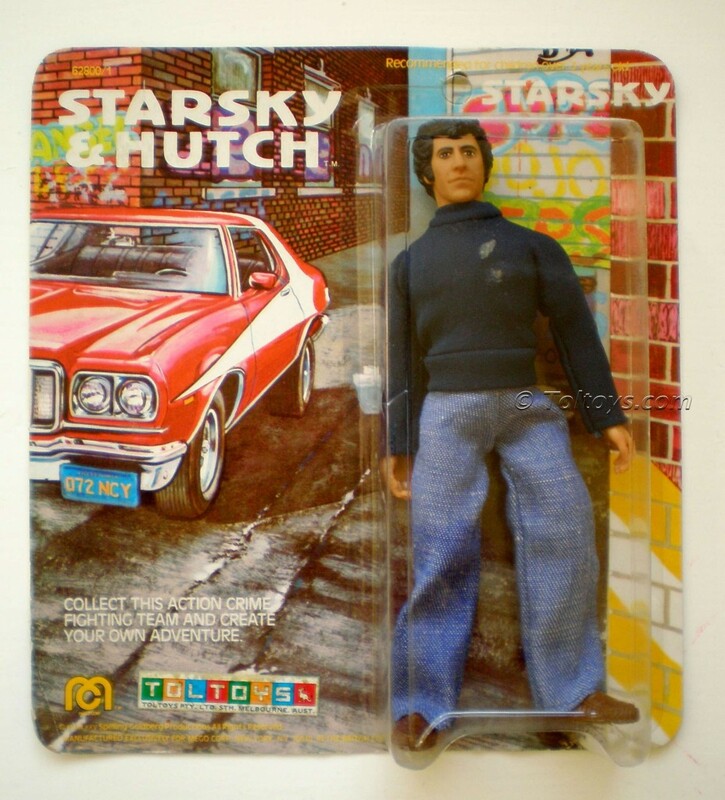 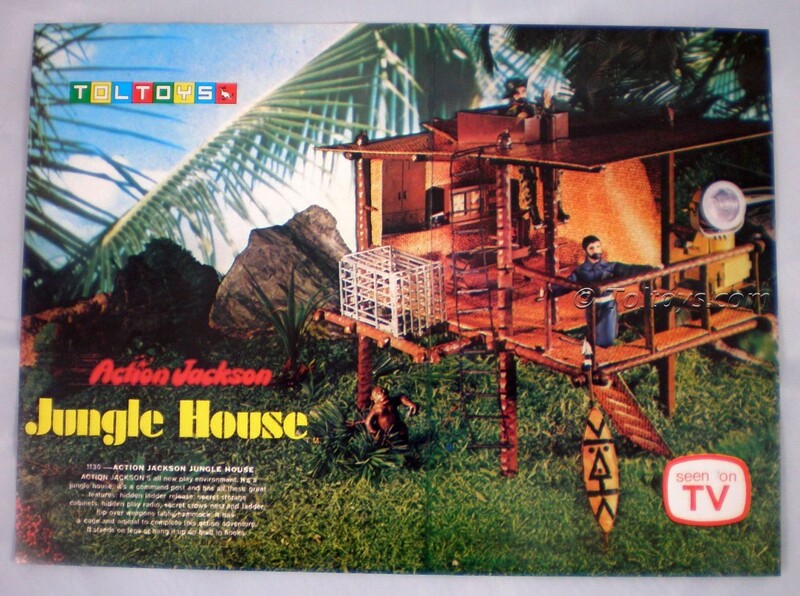 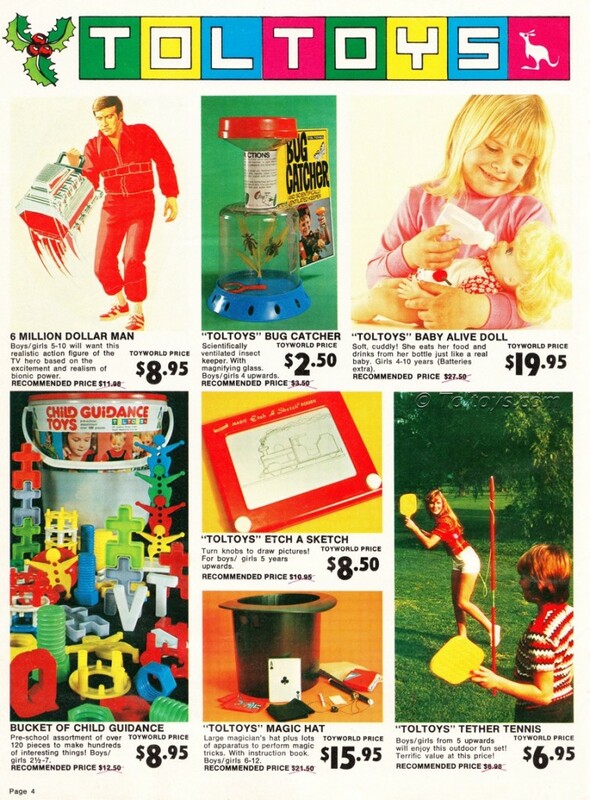 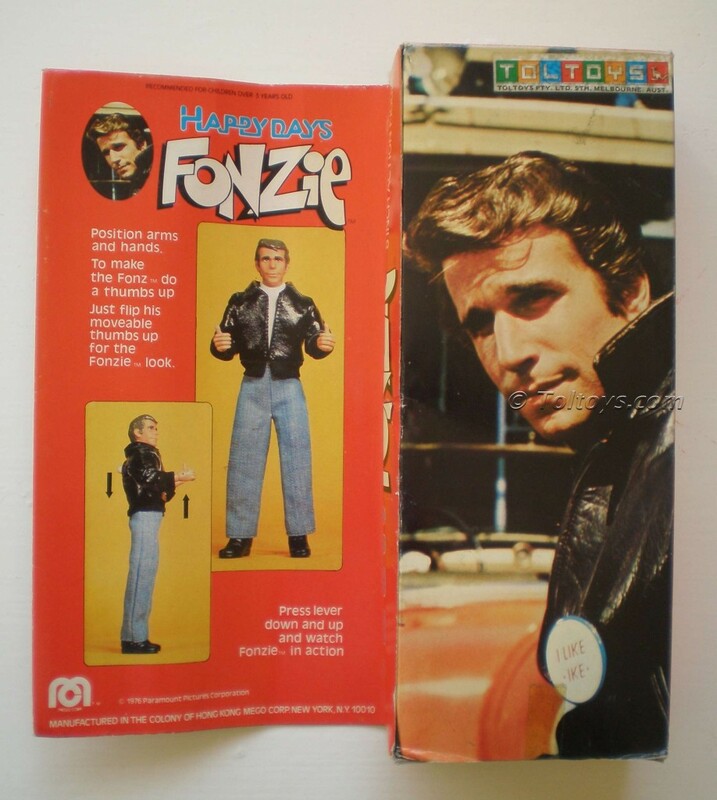 This great catalogue showcases the range available for Christmas 1975, including the Toltoys distributed Six Million Dollar Man, a pointer to the licensed film and TV toy tsunami on the horizon. 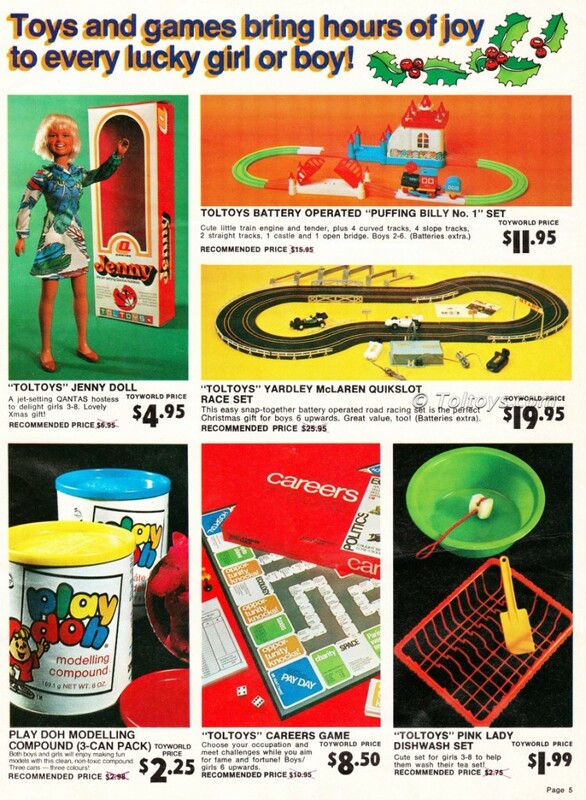 Tonka, Kenbrite’s AFX, Mattel Baby-That-A-Way and Toltoy’s version of Kenner’s wonderful Super Sonic Power “Smash-Up Derby”, one of the best toys of all time in my opinion. 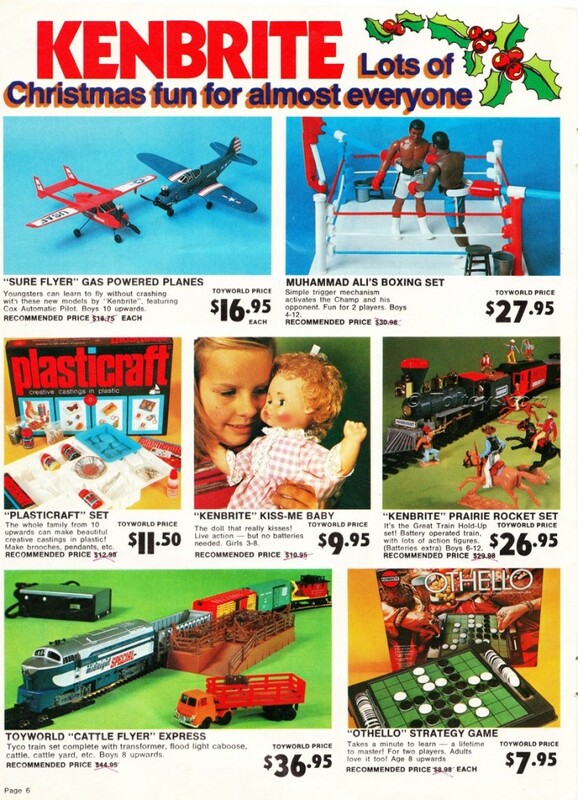 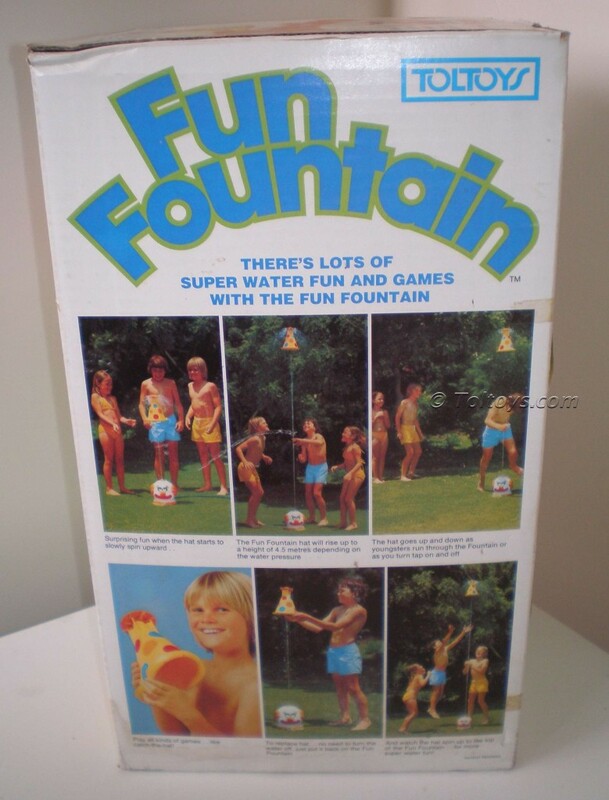 The Kenbrite page featuring some of the great brands distributed in Australia by Kenbrite including Cox gas planes, TYCO electric trains and the awesome MEGO Muhammad Ali boxing ring and figures set. 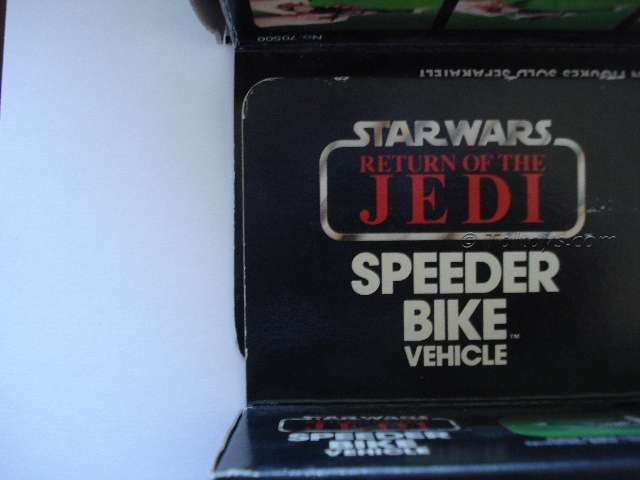 The iconic Speederbike was one of the most loved toys from the Kenner USA Star Wars range, and they were also sold here in Australia in Kenner boxes during the ROTJ era. 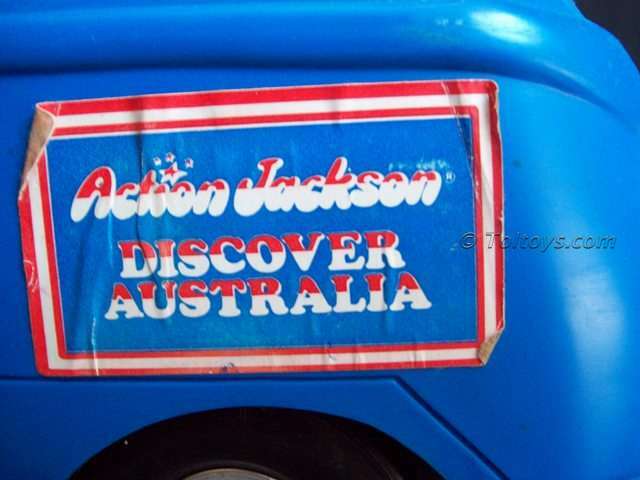 Recently though the keen eyes of Aussie super-collector Pat O’Brien noticed that some local versions were issued in a slightly larger box than the US version, and backed up the claim to a local variation with the famous “PO Box 72 Alexandria NSW” Toltoys mailing address being present on the included instructions. 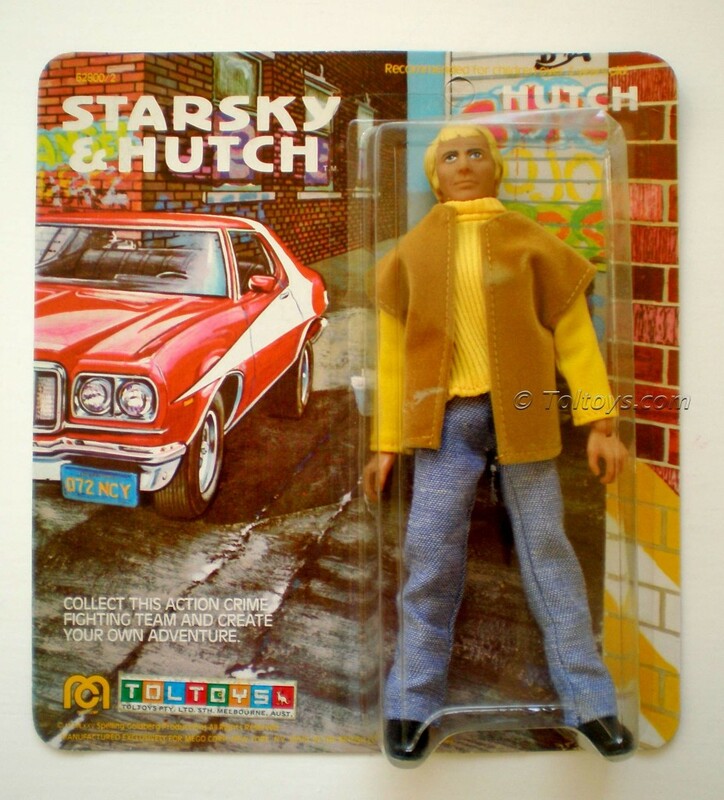 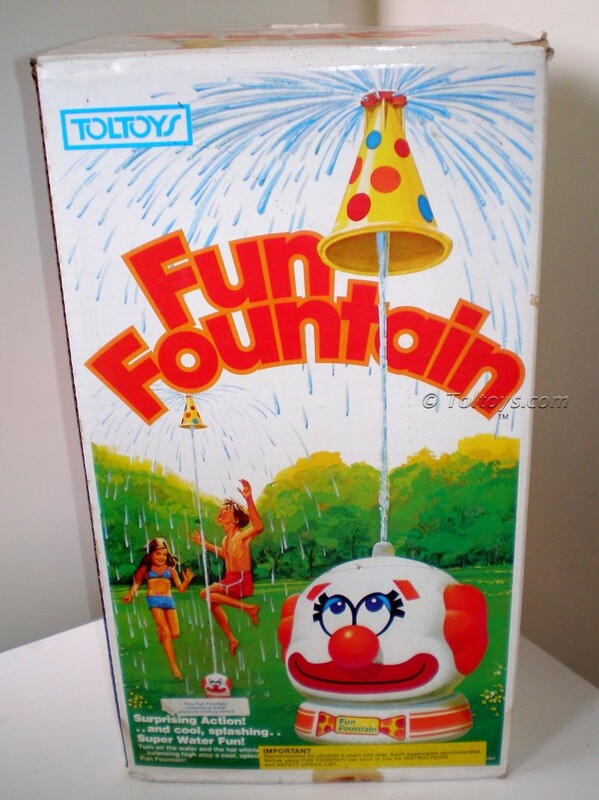 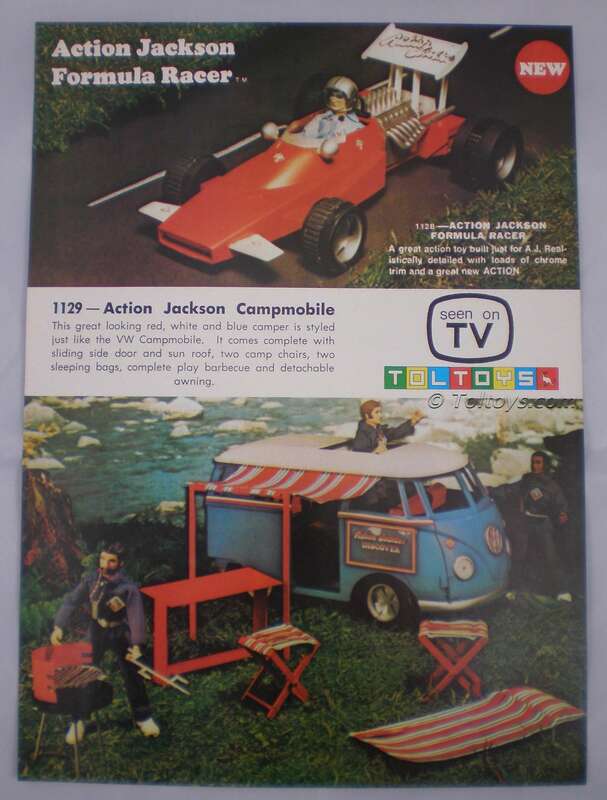 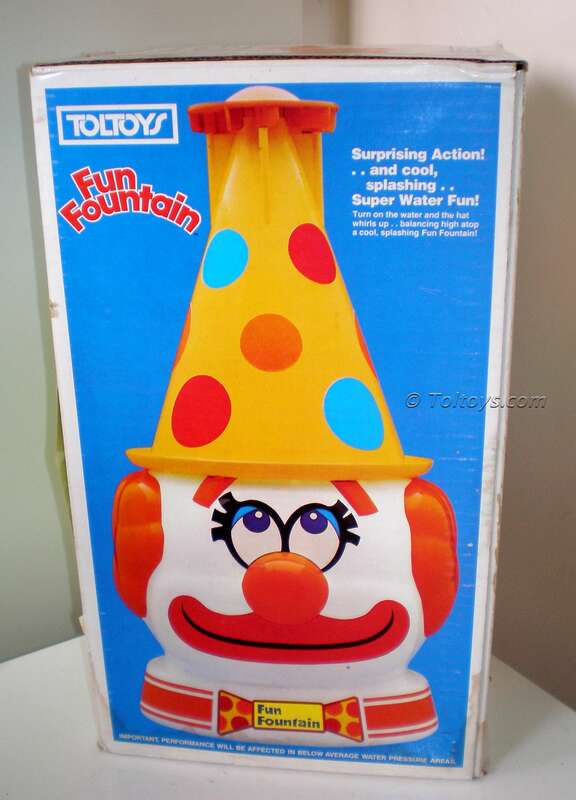 The Toltoys box overlapping the Kenner example. 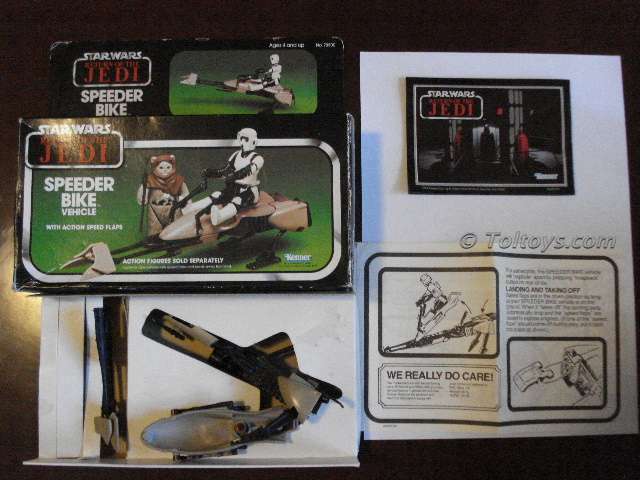 Thanks again to Pat O’Brien for the find and photos.